BRATTLEBORO—The Brattleboro Words Project’s next monthly Roundtable Discussion will examine the history of Jacob Estey and how the famous Estey Organ Company helped shape American consumer culture and promote Brattleboro internationally. Dennis Waring, author of Manufacturing the Muse: Estey Organs and Consumer Culture in Victorian America, will lead the discussion. It will be held at the Estey Organ Museum, 108 Birge Street, on Thursday, June 14, at 6 p.m. Although there were many manufacturers of reed organs, Estey’s dominance in the market was due in large part to the company’s innovations in both design and marketing. 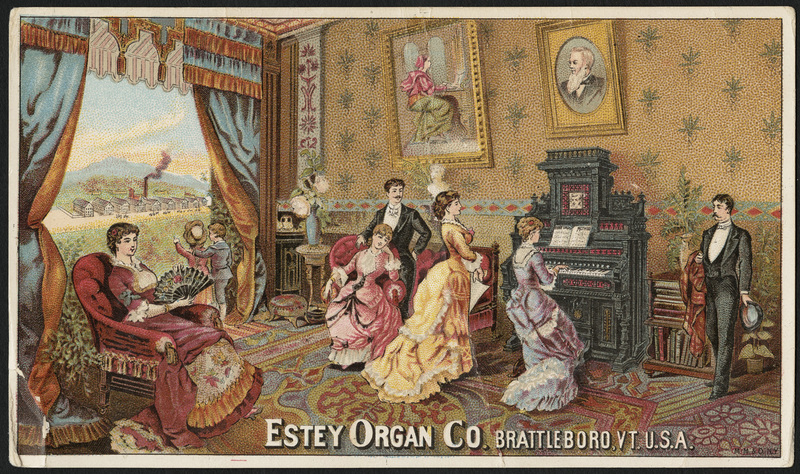 Estey organs accompanied Christian missionaries throughout the world and spread the Brattleboro name far and wide.